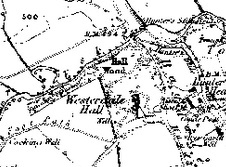 I seem to think that when I was involved in the YHA, there was some kind of walk or trail between the three ‘W’ hostels in our area, namely Whithby, Westerdale and Wheeldale(?). Welcome to Youth Hosteling Mrs Allen. Me and my friends of the time stayed regularly at Westerdale during 1957 / 58 / 59 / 60 when if we were lucky the temperature was just above freezing during the middle of summer !! Dormitory No 9 ( men’s dorm with the occasional female for warmth if there was a shortage of blankets ) had a small pane of glass missing from the window, never replaced.